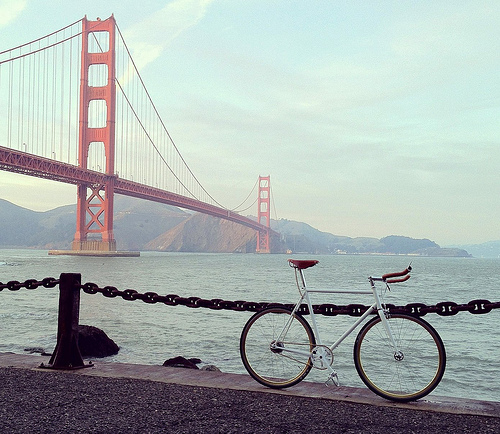 Our bros at Mission Bicycle shared Payam’s ride this morning. 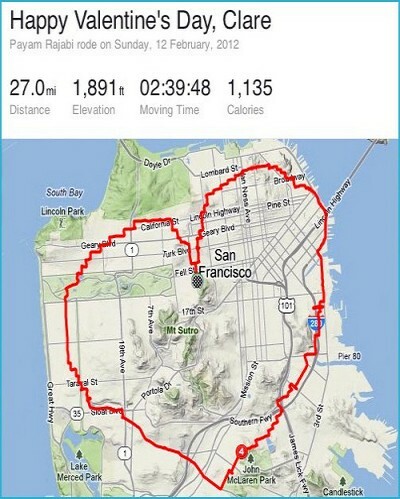 He rode a route in the shape of a heart for his girlfriend Clare. I recently moved to San Francisco from Toronto to start a new job, so Clare and I have been doing the long distance thing for the past few months. I wanted to do something a little different to surprise her on Valentine’s Day. I was excited by the possibility of drawing shapes on a map based on the path I ride. We’re both really fascinated by maps and they’ve been a common point of interest throughout our relationship. He GPS’d his love with this bike.